In the Upper Rhine Valley it’s not only the Rhine that’s flowing. Out of sight, there’s another river slowly making its way northwards. The biggest groundwater reservoir in Europe forms a vast underground river. It gives rise to wetlands of matchless beauty, home to rare animals and plants. 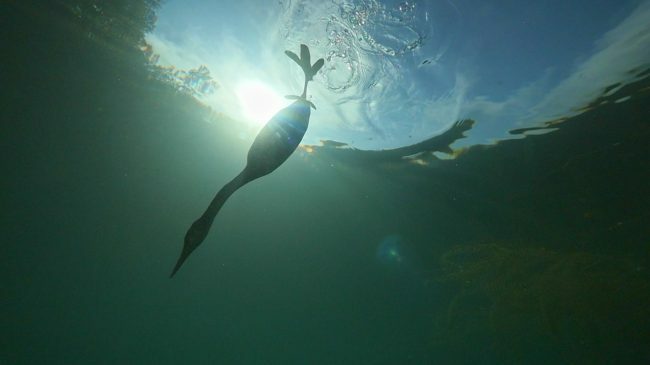 The award-winning underwater cameraman Serge Dumont reveals this unknown world – pike and great crested grebes hunt their prey directly in front of his lens. This wildlife filmmaker has captured behaviour patterns of fish, birds and insects never previously observed. The wetlands in the Upper Rhine Valley owe their existence to the constant influx of clean groundwater. But this is being increasingly polluted by the excessive use of fertilizers and pesticides in agriculture. These small, earthly paradises are under threat. “The Invisible River” shows for the first time the extraordinary biodiversity supported by pure groundwater. And the great importance of protecting it.